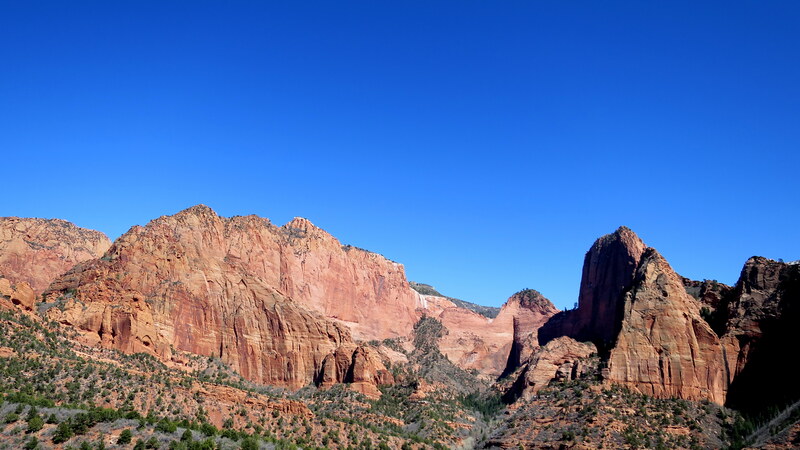 A few days after my arrival in Utah Tom brought me down to Kolob Canyon, a lesser-known section of Zion National Park located northwest of Zion Canyon. 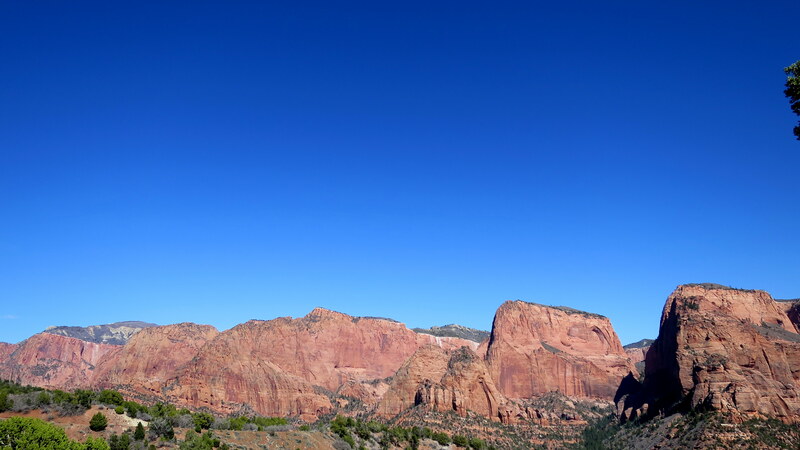 Kolob Canyon features 2,000 foot sheer walls of red Navajo sandstone that dwarf anything around them and that make you feel incredibly small and insignificant as you look up. 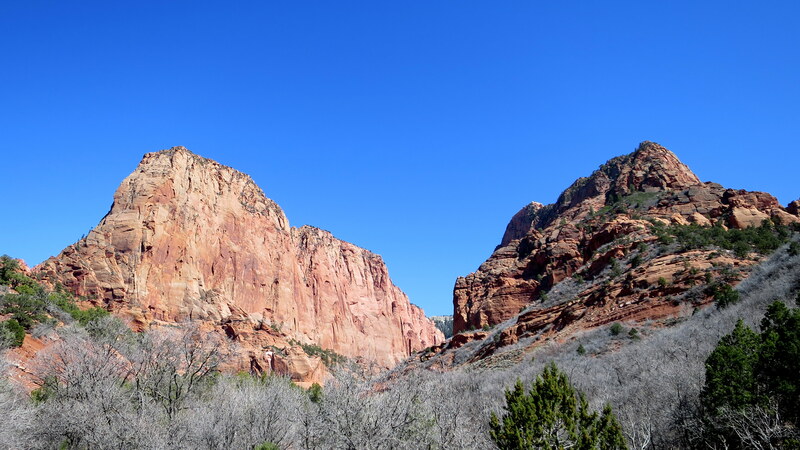 We drove the 5-mile scenic drive which threads up the canyon and stopped to take photos at most of the pull outs before parking at the turn around to hike the short Timber Creek Overlook Trail. 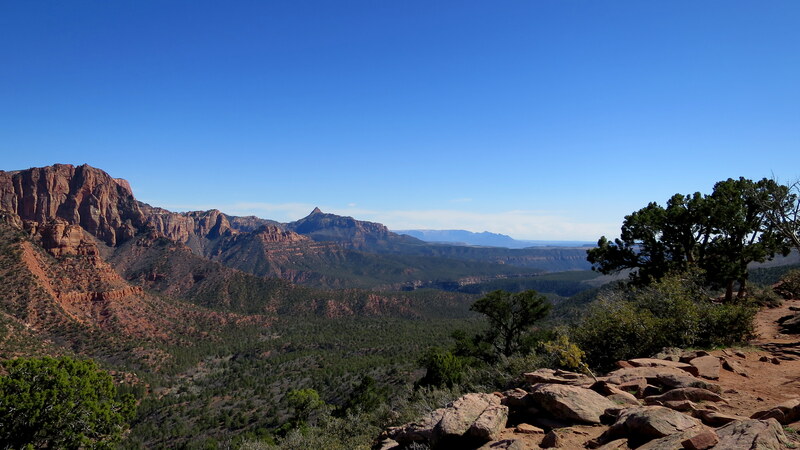 The trail follows a rocky ridge that extends up the canyon through juniper and pinyon pine habitat, going a little further than the road. 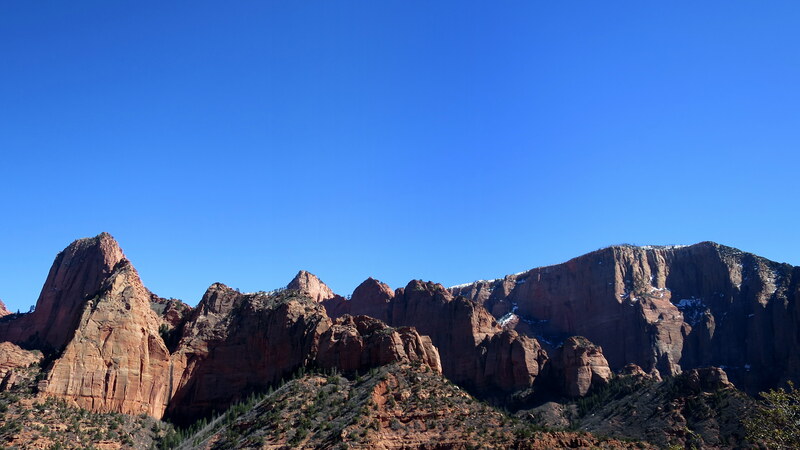 Snippets of the canyon walls can be seen between gaps in the trees as you hike but it isn’t until the terminus of the ridge that the trail reveals a fantastic 360-degree view of the towering red sandstone, Colorado Plateau, and the mountain ranges. 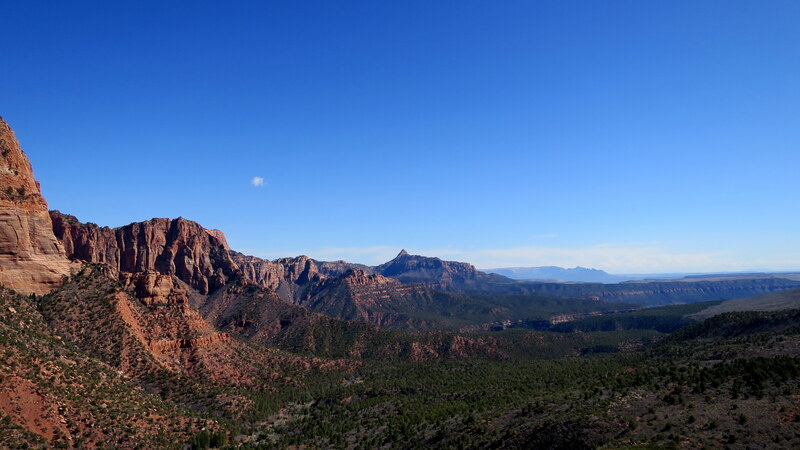 Visibility up to nearly a hundred miles also allows you to see the plateau descending in levels through mesas interspersed with canyons – a section of southern Utah and northern Arizona called the Grand Staircase (for which the national monument was named). 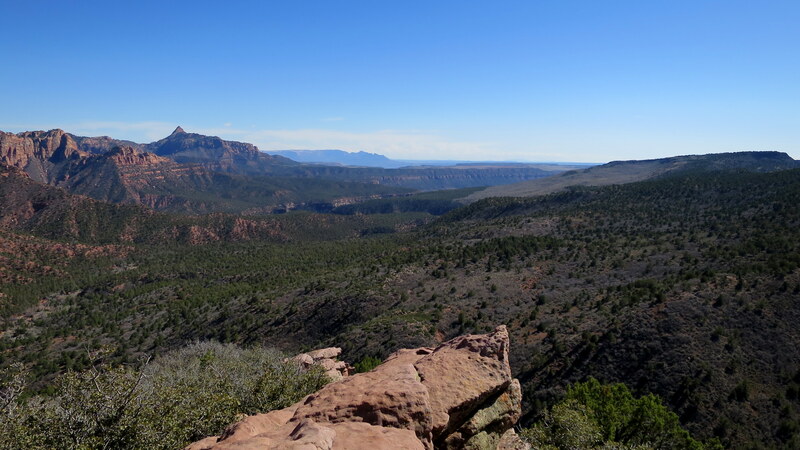 On a clear day it’s possible to see down to the Kaibab Plateau at the northern rim of the Grand Canyon as well. I stood at the end of the ridge for more than a couple minutes, completely in awe as I soaked up the wondrous vista. An additional note about the landscape, one which I will surely mention again: Although the canyon is only about 30 minutes from our hike the previous day at Red Cliffs, the elevation difference is between 4,000 and 5,000 feet resulting in a 35 degree temperature difference and two completely different ecosystems. 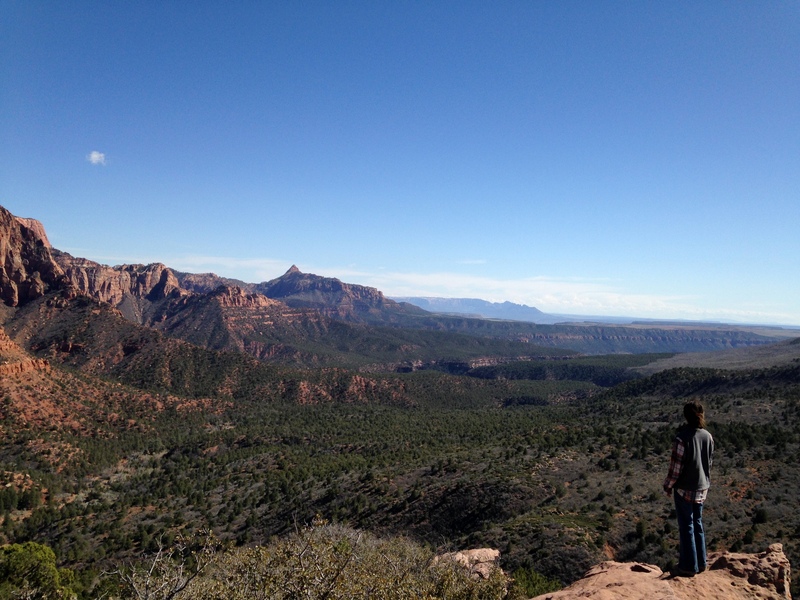 Whereas the day before I had been hiking in t-shirt and shorts most of the day, the hike in Kolob Canyon necessitated jeans, long sleeves, and layers. 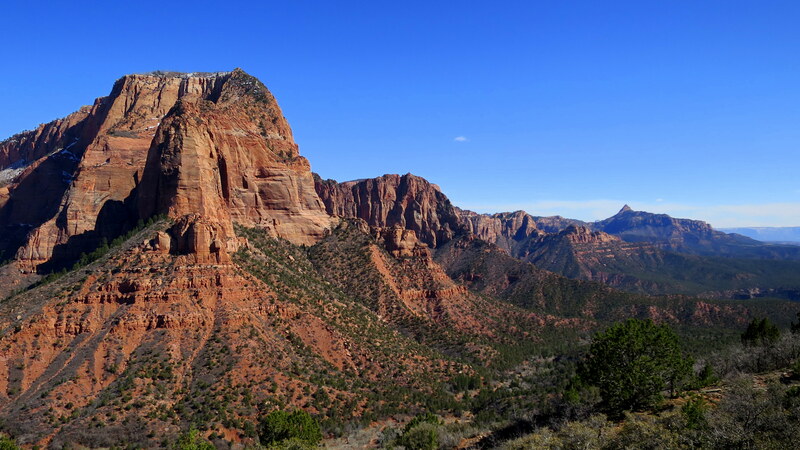 This is one of the things that continues to amaze me about this section of Utah: Within 30 miles you can go from red rock desert at 3,000 ft to alpine mountain meadow at over 10,000 ft – and everything in between. In fact, many hikes cross ecosystem boundaries and its not uncommon to lose 15 degrees between the trailhead and the top. Southwest Utah has it all. Red sandstone desert? Yes. Juniper and scrub hills? Yeah. 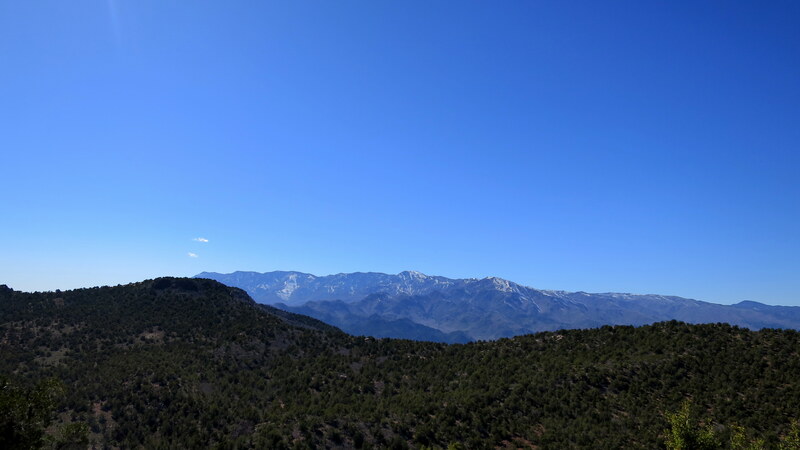 Pinyon and Bristlecone and Ponderosa pine forest? Uh-huh. Aspen-ringed meadows? Yup. It’s seriously amazing. Thank you for the photos they brought back some very fond memories of a truly wonderful place. Really enjoy following your blog. Thank you, curtedgerton! Glad you are enjoying the blog!